Part 4. Project 5. Exercises 1. Single moving figure and 2. Groups of figures. 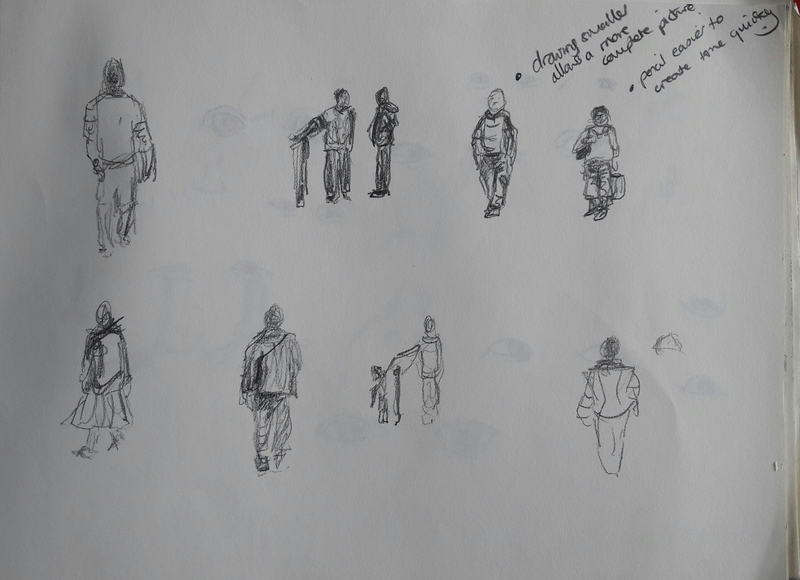 In these exercises I sat in the window of a local coffee shop and drew people walking along the pavement outside. Sometimes there were single figures and sometimes groups so I have put these exercises together. 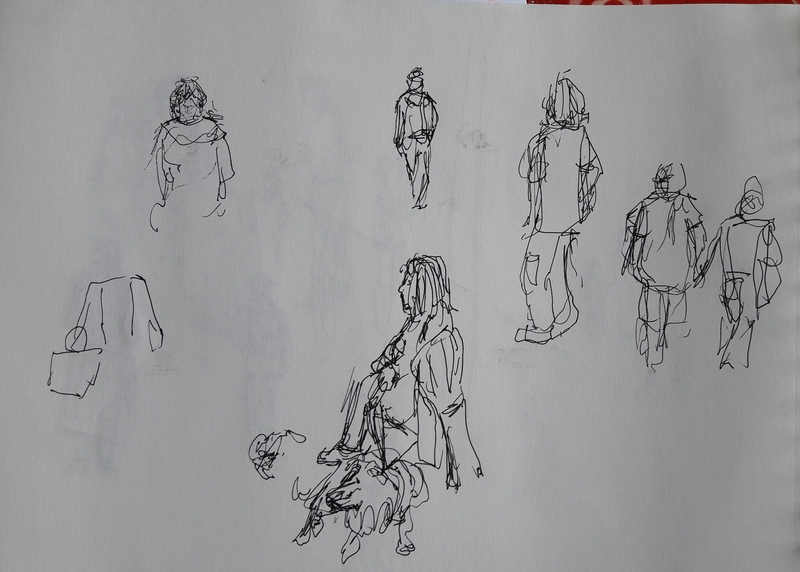 I started using a drawing pen but then found a pencil seemed to create a quicker, more lively drawing. On this page I also drew the figures smaller which meant I could get the whole figure down in the short time I had to do the drawing. Author ewilsonartPosted on July 14, 2017 July 26, 2017 Categories P4. P5. Exercise 1. Single moving figure, P4. P5. Exercise 2. Groups of figures, Part 4. Project 5. The moving figure, Part Four. The Figure and the Head1 Comment on Part 4. Project 5. Exercises 1. Single moving figure and 2. 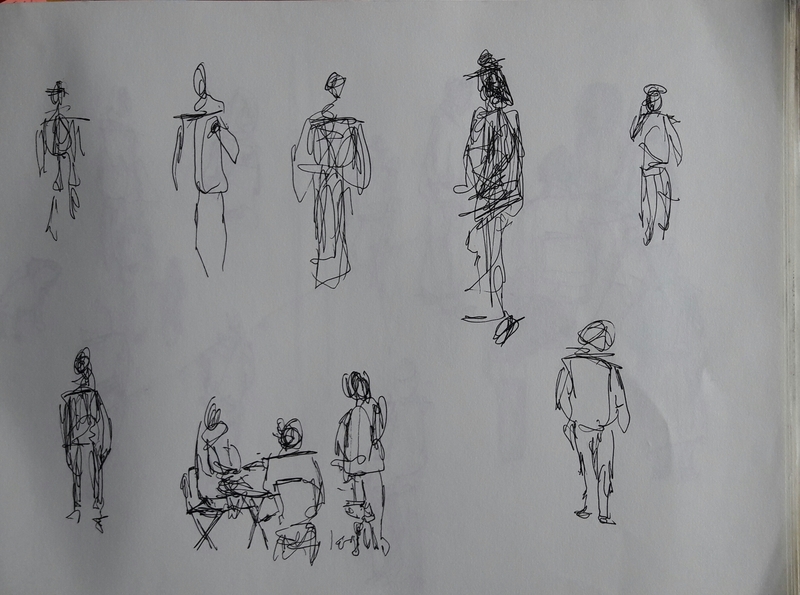 Groups of figures.